Join the active community and lifestyle of Baldwin Park with this recently repainted exterior/ interior 3 bed/ 2 bath executive home with solid concrete block construction. The open floor plan, is bright and airy. The kitchen and casual dining space are great for entertaining, with an abundance of natural light. A French door leads to the pavered stoned patio. The Master Bedroom features an over sized walk-in closet, and large master bathroom with double vanity sinks, garden tub and separate shower. This home features a 2 car rear entry garage. 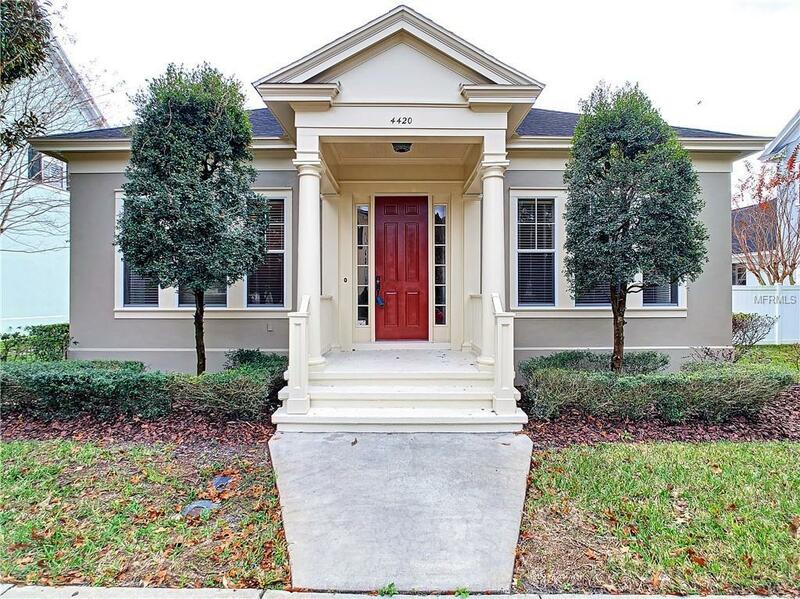 Located within walking distance to Lake Susannah and Lake Baldwin, the park, community pool, fitness center, restaurants and boutiques with convenient access to 408. Lake Baldwin Park is a beautiful, shady park that covers 23.16 acres on Lake Baldwin with a walking, biking and running path. The park is one of two city parks which boasts a sandy beach. This park is the only park in the city known as "dog friendly dogs may be off leash during park hours. Will not last. loaded with upgrades which include granite, crown molding, pine wood flooring, wood blinds, designer light fixtures, and premium painted rooms master bedroom has oversized walk-in closet. You can walk to the restaurants, shopping, banks, Publix, pools, fitness centers and more.